You can change your inner blueprint for success forever and help you create an entirely new model for obtaining anything you want in life including wealth, career, relationships quickly and easily. How Many Opportunities Have You Walked Away From, Avoided, or Never Even Attracted Because of Fear, Doubt, or Insecurity? Listen, FEAR is a part of everyone’s inner blueprint. It’s part of our instinct for self preservation. But the difference between those people who are rich and successful and those people who are not is that rich and successful people act in spite of fear and poor and/or unsuccessful people allow FEAR to stop them. If your inner blueprint also includes stacking DOUBT, WORRY, UNCERTAINTY, TREPIDATION, and LIMITING SELF BELIEFS, on top of FEAR and INSECURITY at those moments when you need CONFIDENCE, COURAGE, INNER STRENGTH, and POSITIVE SELF BELIEFS, then you have got to change that inner blueprint NOW if you are ever going to change your ability to create and enjoy what you really want in your life! You can’t control someone else’s thoughts but you can influence them. It begins with controlling your own mind, your own thoughts. Your inner voice expresses itself externally whether you’re aware of it or not. It’s telling people how to perceive you, how much confidence you have, and whether you’re worth their time. Act the part. Dress the part. Very few external elements will have as much influence on your inner confidence as the way your dress and carry yourself. Your attire should represent your personal brand. If your clothes are fairly new, well pressed, and fit your body type well it will have an impact on your confidence and ultimately how you are perceived. Your confidence is directly related to your ability to take risks. The more you hold back, the more your inner self esteem shrinks. Every time you overcome the desire to play it safe, regardless of the outcome, your confidence grows. Incrementally expanding your comfort zone by taking small then larger and larger tasks will exponentially increase your ability to take on the world. Speak up PLEASE! How you either project or hide your voice tells not only the world but your own unconscious mind who you are and whether you’re worth being heard. The ability to verbally express yourself in any situation can be the difference between success and failure, love and loneliness, growth and stagnation, being heard and being ignored. Prior planning prevents poor performance. Nothing can lower your confidence as quickly as not being prepared. Chronic tardiness and consistent lack of preparation are symptoms of an unconscious need to fail. This need stems from a belief that you will fail and that you deserve to fail. Change the external behavior (the habits) and the internal beliefs will begin to change and provide the soil needed to cultivate massive self-confidence from the inside out. Falling and failing hurts. Pain is a built in survival reaction, a natural way our mind alerts us to danger and reminds us that we need to skill up and adapt to our environment. You can choose to avoid pain like a Marine would by adapting to and overcoming your challenges or you can choose to hide from them. One builds confidence, the other destroys it. I never thought of myself as not having confidence. I had no problem stepping out on the dance floor, walking up and meeting people, even taking on new sports with massive success. But something was holding me back in my career. It was a lack of belief in myself and my ability to succeed. That one area was making me miserable. 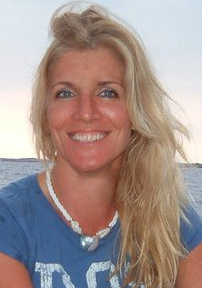 After working with Tom and the Inner Game of Confidence It took me less than one year to go from complete Personal Training rookie to being hired as the lead trainer and head of the PT department at one of Denver’s hottest clubs… with confidence! Confidence builds on confidence. ACTION is the bridge between where you are in your finances, relationship, body, and life and where you want to be. Your ability to take consistent growth producing action will depend almost entirely on your level of confidence. If fear, doubt, uncertainty and a lack of confidence has you back in the past it will continue to do so in the future. Your success tomorrow is directly related to your confidence today. Everything you want can be your but you must take action to get it. Action requires both guts and confidence. With the Inner Game of Confidence you'll find the ability to hold your head high and show the world who you are. If you are looking for a "quick fix" this is not it. But, if you are committed to digging deeper, reconnecting with your true self, and making fundamental steps toward revealing the magnificent person you really are, Winning the Inner Game of Confidence program will get you there. 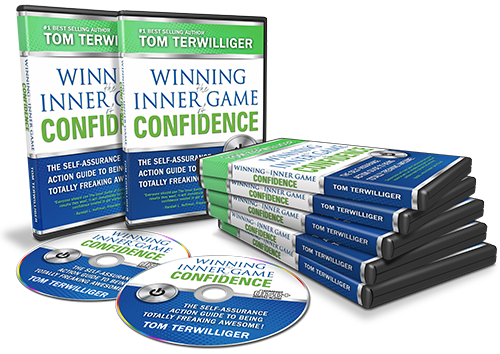 Winning the Inner Game of Confidence training provides a step-by-step web-based confidence enhancement plan, which brings clarity and focus into your life as you develop and implement a new and more assertive you. The easy to use member's area is packed with great tools and effective strategies in the form of PDFs and audios. Winning the Inner Game of Confidence gives you the freedom to work at your own pace and you can access the member's area at any time and on any device. All the things you need to put action into meaningful and lasting results. Create the ability to effortlessly double or triple your income without learning one single new marketing, business, or accounting strategy. Gain a powerful understanding of where you are in your life and what areas are not were you would like them to be because of a lack of confidence, fear, insecurity, or doubt. Learn to model the areas of your life where you already have confidence and the ability to take action and create the inner and outer strategies to overcome fear and take effective action in all the other areas of your life. Eliminate the old dis-empowering beliefs that have been holding you back for so long and create new and empowering values and beliefs that will automatically and unconsciously move you with lightning speed towards the outcomes you desire. Build the emotional muscle of your inner warrior. You will develop the strength and courage of a true warrior and the ability to tame the serpent of fear and doubt in your own head. Strengthen your ability to shut off that annoying negative inner voice that has been talking you out of doing what you already know deep down inside you are capable of. Recognize and no longer tolerate negative external influences. Your new emotional muscle will give you the strength to change or eliminate from your life the things or people that have been dragging you down. Learn how to use your body, your mind, and your language to influence your ability to feel confident, self assured and strong all the time. Increase your ability to positively influence your clients, co-workers, significant other, and anyone you want any time you want. 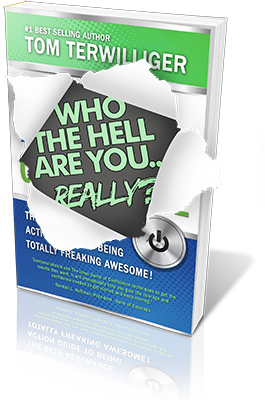 The self-assurance action guide to being TOTALLY freakin' AWESOME! When you know the precise actions to take and in what order you can build confidence with confidence. The step-by-step Self Assurance Action Guide will walk you through the process of incrementally building on the previous steps all leading to looking, sounding, and feeling completely self-assured in any situation. Each 30-60 minute audio contains a powerful and motivating action oriented lesson. The power of audio allows you to listen anywhere while on the go but also to get the lesson on a much deeper level. The combination of Action Guide, audios and workbook will provide the building blocks for confidence breakthroughs that might otherwise be impossible. We don't leave anything to chance. 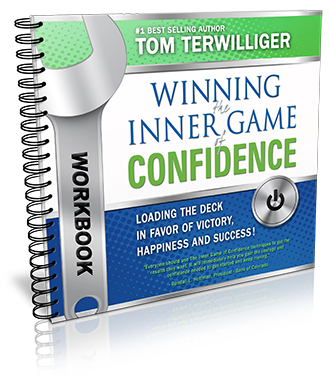 Winning the Inner Game of Confidence Workbook is provided for you. The guided workbook is correlated with the Action Guide and audios to give you the ability to keep track of the all the progress you are making... and will be a powerful reference for building even more confidence in the future. Who The Hell Are You... Really? An evaluation of how you view and operate in the world. From who you are in social situations and intimate relationships, to how you deal stress, to your behavior with money, We have scoured specific resources to help you understand what makes you tick. 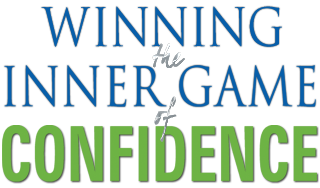 Winning the Inner Game of Confidence training provides a step-by-step web-based confidence enhancement plan, which brings clarity and focus into your life as you develop and implement a new and more assertive you. The easy to use online member's portal is packed with great tools and effective strategies in the form of PDFs and audios. 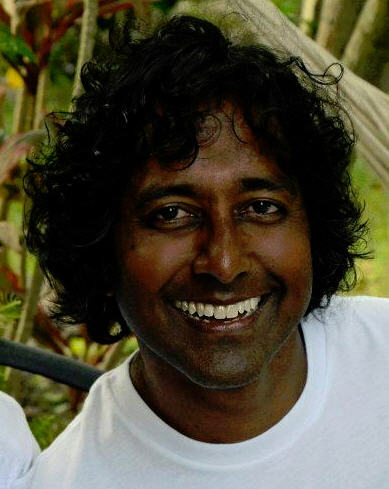 The techniques and strategies in The Inner Game of Confidence will produce massive changes in anyone willing and ready to receive them. Tom not only talks the talk, and walks the walk, but also know how to teach it. This program will be an amazing experience for you. All it takes is confidence and strong self esteem. The rest will follow. Tom has tapped into the ability to help anyone develop the confidence and inner strength to take on whatever challenges stands in their way. He is an awesome leader and motivator an his influence will help shape your career. I lacked confidence in my ability to make real progress in the gym. After just 6 weeks of coaching with Tom Terwillger and using his Inner Game of Confidence techniques my confidence has shot through the roof. I’m now lifting heavier weights and attacking my workouts with more confidence, passion and energy than ever before. That confidence has extended over to the rest of my life and my business as well. Everyone should use this program to get the results they want. It will almost immediately help you gain the courage and confidence needed to get started and keep moving. Still Have Questions about Having More Confidence? Winning the Inner Game of Confidence gives you the freedom to work at your own pace and you can access the online member's portal at any time and on any device. All the things you need to put action into meaningful and lasting results. You will receive an email with all the log in information once you complete your purchase. 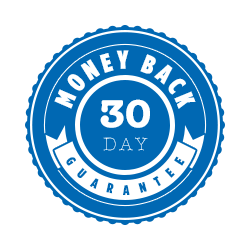 We stand by our 100% money back guarantee. 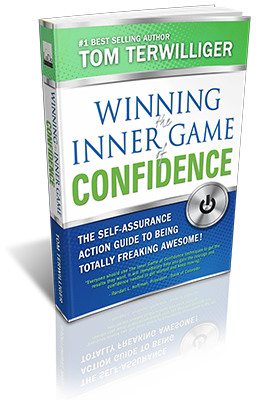 You have a full 30 days to review Winning the Inner Game of Confidence. If you decide during that time that it's not right for you, just let us know and you'll be issued a full and prompt refund, no questions asked. In short, you get a great return on your investment or you get your money back. None! 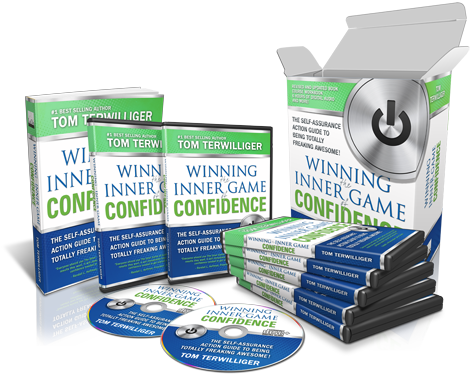 Winning the Inner Game of Confidence program is available to you online with access anytime and on any device. You will be emailed log in information to the member's portal once you complete your purchase. How do I get assistance of I need it? We will not sell or rent your personal data information for any marketing purposes whatsoever! We value your privacy. All information is encrypted when you checkout and is transmitted without risk using a Secure Sockets Layer protocol. Why am I so passionate but this program? YES, I want in! I want access to the Winning the Inner Game of Confidence right now. IMPORTANT: This special discount won't last long! 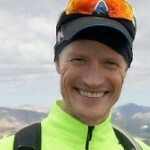 Tom Terwilliger, known as the “Achievement Mentor” is equal parts athlete, entrepreneur and motivator. 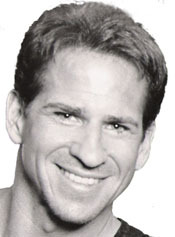 After pulling himself from the world of drug and alcohol abusing outlaw bikers, Tom’s never-give-up attitude, determination and willingness to sweat earned him a National Body Building Championship and coveted Mr. America title and was the springboard to a successful 16 year career as a Fox Sports Net TV show host. As a bestselling author, international speaker, motivator and personal empowerment trainer, Tom has taught thousands of individuals and organizations the empowering leadership and life success tools, rules and mindset strategies needed to take massive leaps forward in life and career.